The fourth epic release of Agalloch blew me away in every possible sense. The lyrics, the guitar playing, the drumming, the overall structures, the 'film-score' feel, the packaging, the historical approach, and so forth. A seeker of arcane knowledge myself, the lyrics on this record resound quite deeply in that realm. Echoing of heathen wisdom and pride, this album empowers those who seek refuge in such beliefs. The entire song of 'Black Lake Niðstång' just chills me to the core, and literally pulls me back 1,000 years to the drowning pools of Norse lore, and their esoteric nature. Raw and wrenching like no other. This album is the follow-up to the now classic “Souvenirs d'un Autre Monde”, which espoused some of the most beautiful riffs and lyrics ever composed. Mastermind Neige pierced the ether yet again with "Écailles", and soared high into the dreamy realms. While a glance at the lyrics might suggest a grim and gloomy disposition, they are in fact of a happier nature than most post-black metal. Finding comfort in the 'otherworld', Neige guides the listener down to the bottom of the sea where one can find at last find quietude and solace. Sacré bleu. I have been a fan of Burzum for quite a long time, but like many people, only interested in the early albums, specifically the first four. After warming up to the 'in-between' albums, and hearing of Varg's release from prison and his musical rebirth so to speak, I eagerly awaited the latest album "Belus". While not the most innovative and original of works, it certainly hits hard and brings back the classic feel of the early Burzum albums. The entire concept behind the record is the story of Baldr from Norse mythology, his rise and fall, etc. The music of Cloudkicker is incredibly cool to say the very least. The first full-length ("The Discovery") showcased Ben Sharp's ability to create sonically intricate songs, layered with heavy Meshuggah-esque drumming and riffage. Cloudkicker is an original act however; with Beacons, Sharp elevates the music to an entirely new level. The guitars are heavier, the drumming is more complex (albeit still programmed), and the overall flow of the album is spectacular. Even after 15 listens or so, this album still blows me away. The latest Enslaved offering marks the continuation of Enslaved to soar higher with each release. In some ways this album is quite different from the previous release Vertebrae, which had a more blackened pink floyd sound. "Axioma" hits with a much fiercer punch, and showcases the epic vocals of keyboardist Herbrand Larsen more so than ever before. The themes throughout the album revolve around the usual Norse lore and esoteric meaning gleaned from such, with the Havamal and Odin at the center. I think the production sounds amazing, and each member is continuing to hone their instruments better. Sure there may be more heavy droning riffs and drumming, but I think that's what Bjørnson & Co. were aiming for this time around. Overall, this is a solid album, and is well worth your time a) if you're already an Enslaved fan and b) if you're looking to get into proggy black metal. 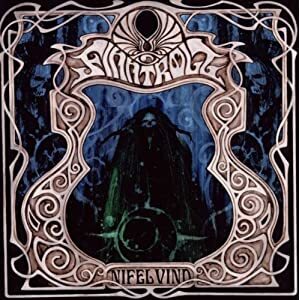 Over the past decade or so, Finntroll has put out a number of solid releases. With each album, they get more and more heavy and/or goofy it seems. While the tag 'folk-metal' certainly fits this band quite well, with "Nifelvind" they almost move into their own direction entirely, with the advent of their own kitsch and style. The songs on "Nifelvind" hit hard, fast, and even offer brief trance/dance-like vibes. Continuing with their trademark trollish dialect of Swedish, these guys have their ideas and songwriting down to a science. A great release for fans of the folk-inspired metal genres. Gogol Bordello is a band that have proven themselves time and again to be a reliable and impressive act of gypsies. What drew me to them was their album "Gypsy Punks", and naturally I was eager to hear their latest record last spring. Gogol always has that signature sound, as frontman/mainman Eugene Hütz always lays his style down to the perfect effect. The album certainly sounds more progressive than previous efforts however, and even takes on a more serious tone. The lyrics have always focused upon themes of refuge and oppression, but "Trans-Continental" is a tad more bleak. Having said that, it is still a fun record, and can be held to the same regard as the others. Where to start with Lantlôs... Well, first off, the debut album impressed me and displayed a keenness on mastermind Herbst's part that led me to believe that black metal could be pushed into new directions other than just more trve or just more proggy. Harsh vocals, trem-picked riffs, blast-beating drumming all played a huge role, but there were also other elements that I had not yet heard in this kind of music, such as the clean guitar passages, and the slower, almost shoegazey parts (Kalte Tage, for example). That was then; with “.neon”, Lantlos truly exceeded all of my expectations. Bringing in Neige on vocals (mainly in English now), the music has a whole other layer to it. The album plays more like a soundtrack to flushed and hazy urban life if nothing else, and the drifting listlessness that stems from it. A wrenching and soaring release, this album tears at your heart and then lets you go to continue your haze. 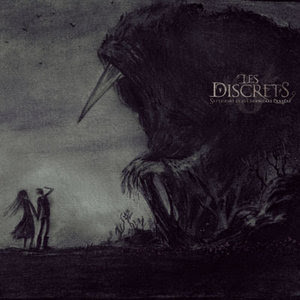 Many years in the making, Les Discrets' "Septembre" does not disappoint in the least, and is easily one of my favorite albums of 2010. A solid and darkly beautiful collection of songs through and through, this record paints a sonic landscape of haunting essences, all revolving around the theme of death and dying—the ravens and their symbolic meaning. While shoegazey for sure, the album also showcases heavier drumming than most other music of this kind (post-rock/shoegaze/etc), and heavy riffing when called for. The clean guitars are what draw me to the album, and the overall languid feel I get every time I hear it. 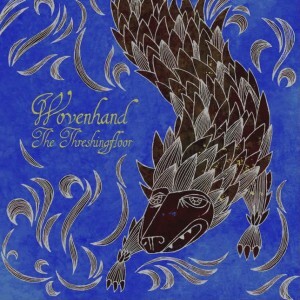 Wovenhand is one of those bands whose prolific history alone draws me to them, as well as their loyal fanbase. While inadvertently dodging their music for a long time, I finally had the chance to catch them live in Chicago in September. Absolutely stunned by the live performance of Edwards and crew, I decided to pick up their latest record, "Threshingfloor". The album has a 'world-music' feel to it, and employs plenty of acoustic guitars and odd instruments and percussion which only aid the album in sounding more whole. Echoing of Christian themes (e.g. Salvation) throughout, the guys still manage to attract many non-believers, myself included. I feel that even as a non-Christian one can still find refuge in this music, and if nothing else, great songs and empowering lyrics. 'Twas a fantastic year for music yet again. While Agalloch, Alcest, and Lantlôs were my top three, all of these releases were really great, and are in no particular order. Some other important releases are absent from my list, such as Vit's "-" and Deathspell Omega's "Paracletus"; the reason being is because I had not yet the proper opportunity to sink my teeth into them. I am sure there are a myriad of other records from this year that I shall discover in the future at some point. I also eagerly await what 2011 has in store.